Researchers, including Parkland College student Kaleb Cotter, sift through materials uncovered in excavations of native mounds in Robert Allerton Park. 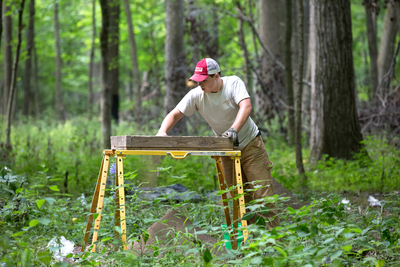 Illinois State Archaeological Survey director Thomas Emerson leads an effort to restore ancient mounds in Robert Allerton Park. PIATT COUNTY, Ill. — It is a gray and overcast day as we make our way to the mounds at Robert Allerton Park. We use golf carts to get to the mounds, bumping our way over hills and bends along a trail. I look up through the canopy of enormous trees and see the sun trying to penetrate the cloud cover. These mounds are likely burial structures, constructed by native people living here 1,000 to 2,000 years ago. Similar mounds were once common across Illinois, but the vast majority have been destroyed by looting, agriculture or development. The mounds here have suffered from 19th century looting, but were never plowed and have been preserved as part of the Allerton legacy. 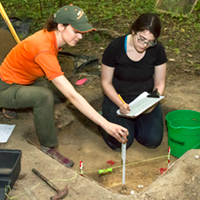 ISAS archaeological specialist Erin Riggs, left, and Aubrey Brown, of Parkland College, excavate a section of one of 10 mounds in Robert Allerton Park. 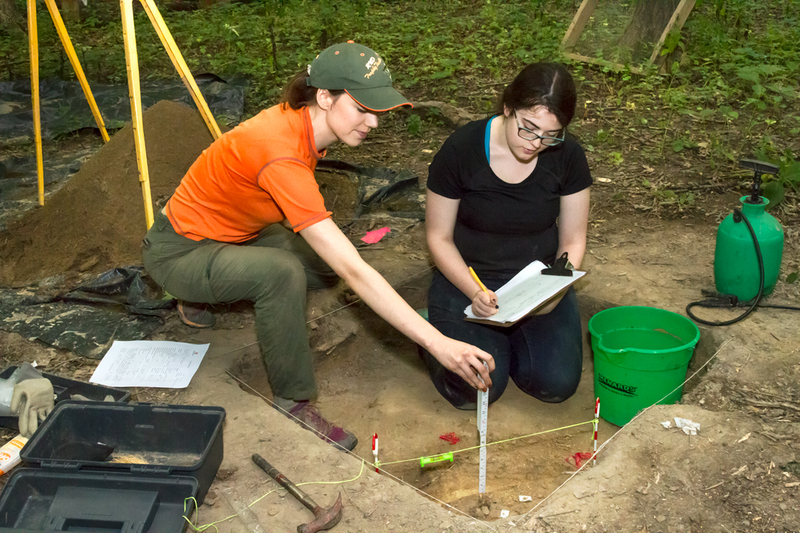 The Illinois State Archaeological Survey is partnering with Allerton Park staff to identify, restore, interpret and preserve these ancient structures. The mounds have been cleared of fallen tree trunks and vegetation is just starting to regrow. Our field crews have already used remote-sensing geophysical technology that investigates the mounds’ interiors without disturbing them. Generally two- to three-feet tall and occupying about 1.5 acres, the mounds are easily identified now. 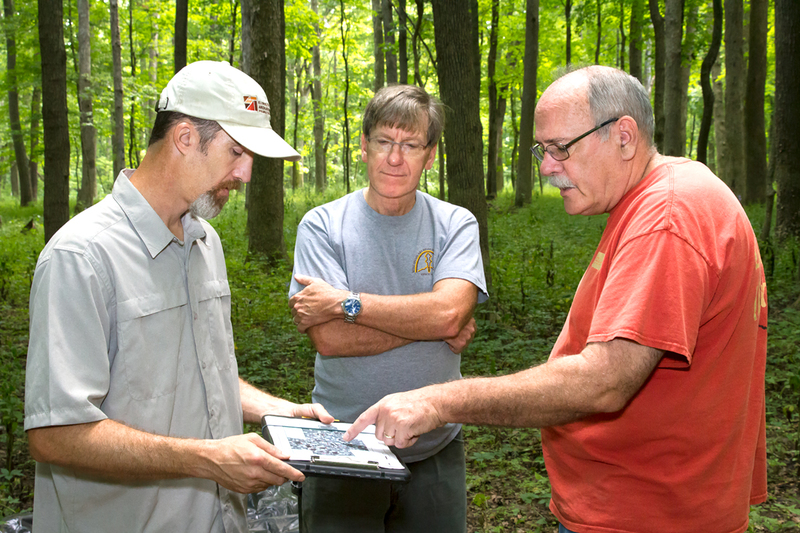 From left, ISAS archaeological technician Daniel Smith, anthropology professor Timothy Pauketat and ISAS assistant director Duane Esarey review a geophysical survey map. I quickly realize that the 10 mounds are in very different states of preservation and will need different levels of restoration. 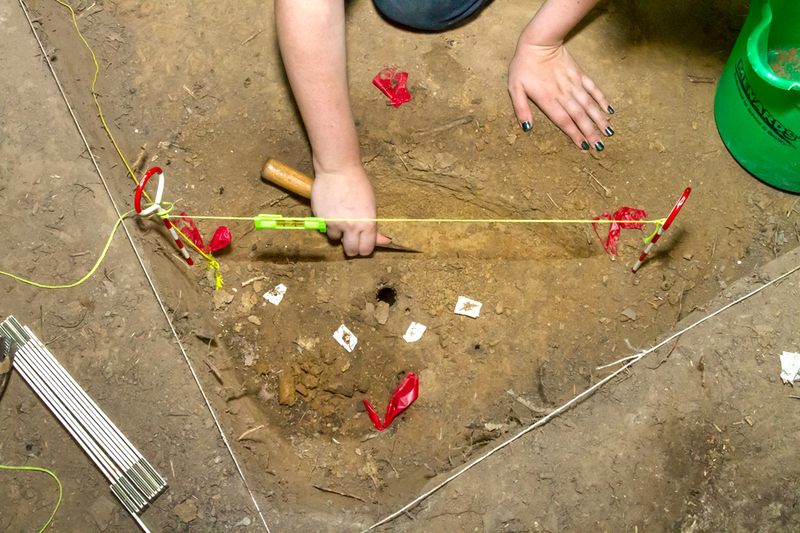 Most disturbing is the devastation to one of the larger mounds, the result of looting in the 1800s, which left a crater 25 feet across and several feet deep. 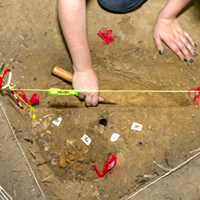 Researchers excavate a section of one of 10 mounds in Robert Allerton Park. These mounds add an important dimension to the Allerton story. As the Illinois state archaeologist and the director of ISAS, it’s my job to create and implement a plan to restore, preserve and interpret these native monuments. An overarching goal is to install interpretive signage along the trail to help the public understand the long human history of this land. Today, we are leaving with more questions than answers, but I look forward to the work with my team to repair this important historical monument. 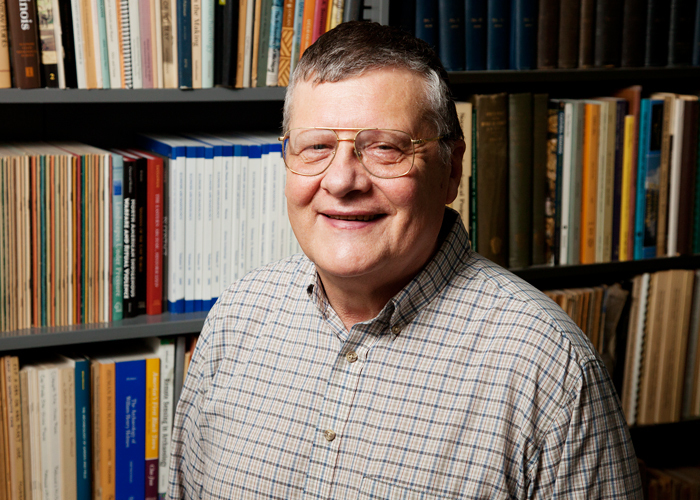 Editor’s note: The Illinois State Archaeological Survey is a division of the Prairie Research Institute at Illinois.